If you have a suspect program, it allows you to enable specific program monitoring and has an option to set it to be killed at a specific threshold limit. 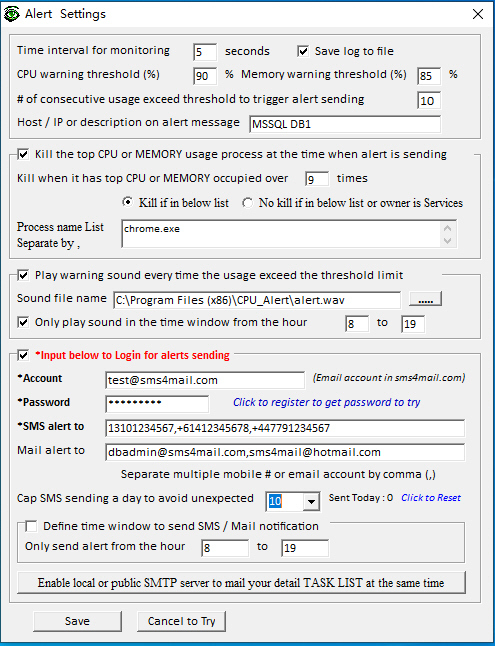 Alert you only when the first time reach the defined consecutive # - No keep sending you alerts when the usage remain higher than threshold limit. 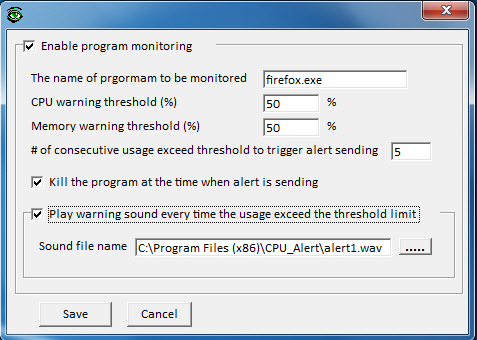 Alert you again when usage back to normal then alert you next time the usage higher than threshold. 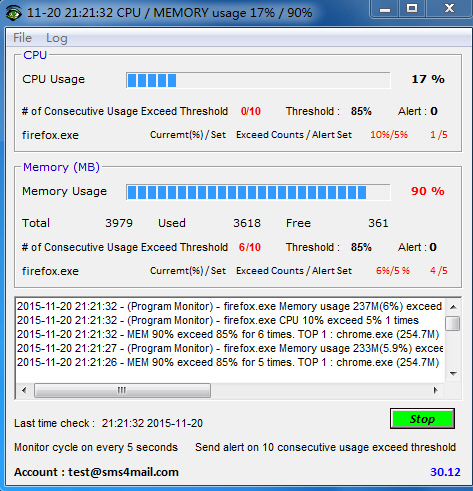 Keep monitoring CPU usage 7/24 and send you alerts. 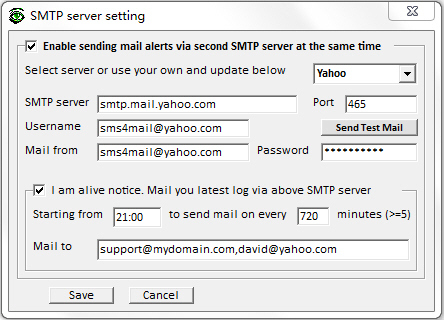 Allow to limit SMS sending a day - Cap # of SMS sending to avoid large SMS alerts when abnormal situation happened. if you set max. # is 10 then the 10th SMS will have 10/10 in the end. No SMS alert but you still can get mail alerts. Counter will be reset at 00:00 to let you get SMS alerts next day. Save those higher than threshold data to log file and separate the log files by date automatically. *test.exe killed(True) : TURE means the program has been killed successfully. This is optional to setup to kill the TOP1 program automatically. *test.exe(9),firefox.exe(1) - test.exe has been on TOP1 for 9 times and it will be killed if you have enabled the automatic kill flag.